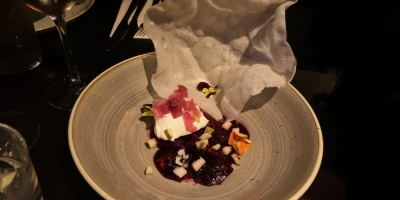 Eat North has carved its place just outside the city centre. A weekly food fair with an infinite rotation of Yorkshire's finest indie food. For a weekend fail safe, or a varied hangover cure - tried and tested - Eat North will sort you out on a Saturday afternoon. Head out of the city centre and up to the edge of Sheepscar to get involved. 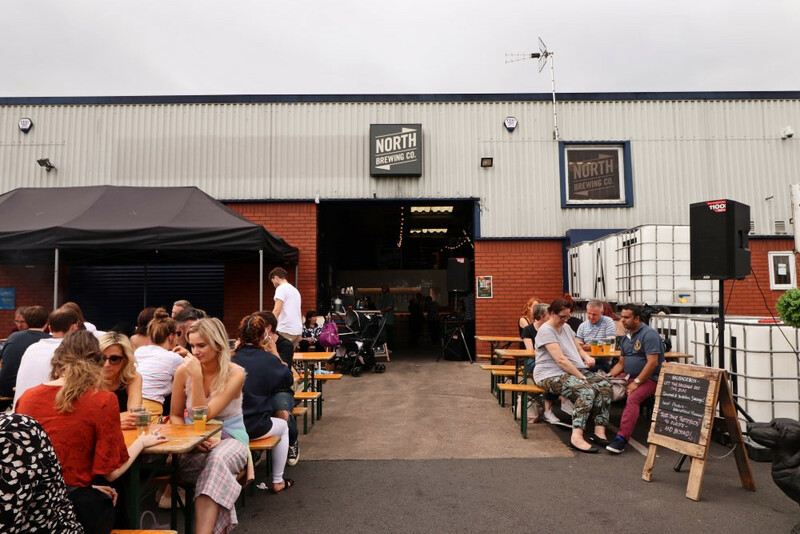 Tucked away in an unassuming car park, Eat North spills out of the North Brewing Co tap room, benches full, the dining space edged with delicious eats for the afternoon. With an ever-changing line-up, you're sure to find something to suit, including special events catering exclusively to veggies and vegans. 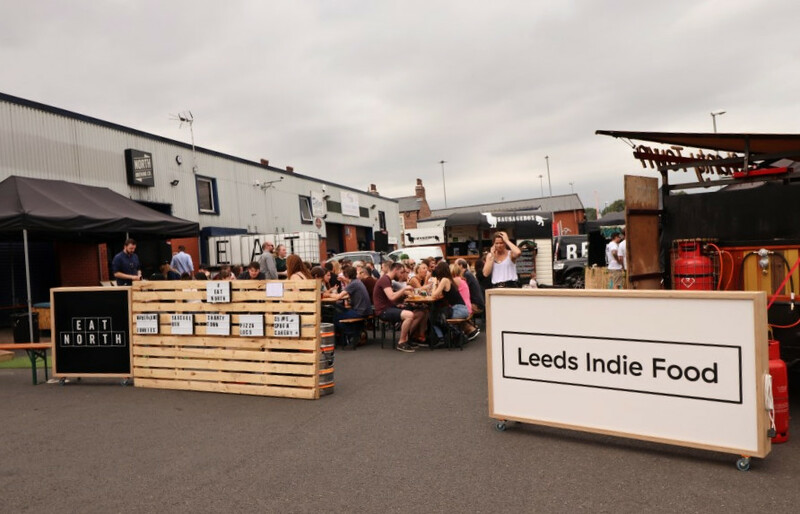 For the line-up for your next Saturday, keep an eye on the Leeds Indie Food Twitter, where full menus are shared and you also have the chance of winning a dish from every vendor - also tried and tested, so very indulgent and definitely worth a retweet. 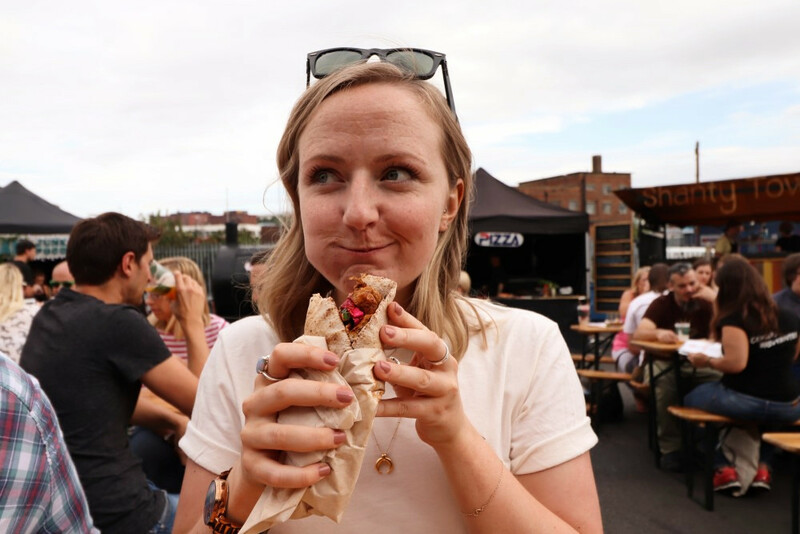 Pretty much every vendor has a twist to their offering, from vegan Doner kebabs to South African inspired hot dogs, expect street food classics, but with a little extra. For a taster of what to expect, here are a few of the highlights from the past weekend's line-up. 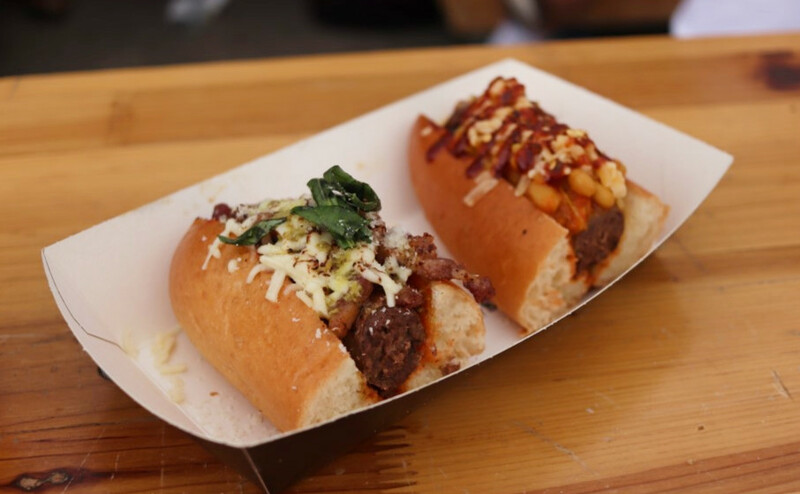 Here's the South African hot dog that definitely earned my favourite pick from this past weekend. 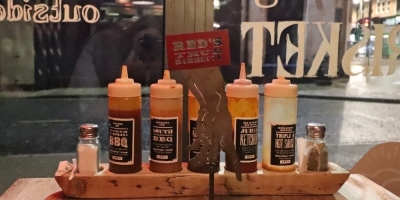 A short menu of unique hot dogs, including the Italiano, topped with torched mozzarella (yes please), Napioli sauce and an unreal pesto olive oil. That and the South African, a beef 'dog finished with a generous helping of chakalaka and torched gouda. The first Creole cooking vendor I've come across. This weekend they served up a whole load of tasty seafood which was there for my other half's indulgence. 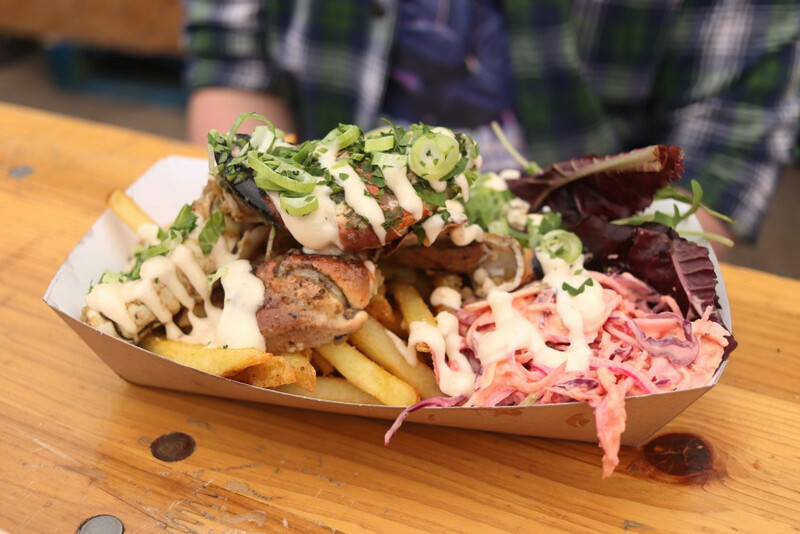 The crab claw supper was indulgent to say the least; crab claw basted in garlic butter - the smell wafted off their truck, a mouth watering welcome to the weekend - served with an array of relishes and fries to get stuck into. Traditional baked favourites, with hidden flavours that pop out from the batter. 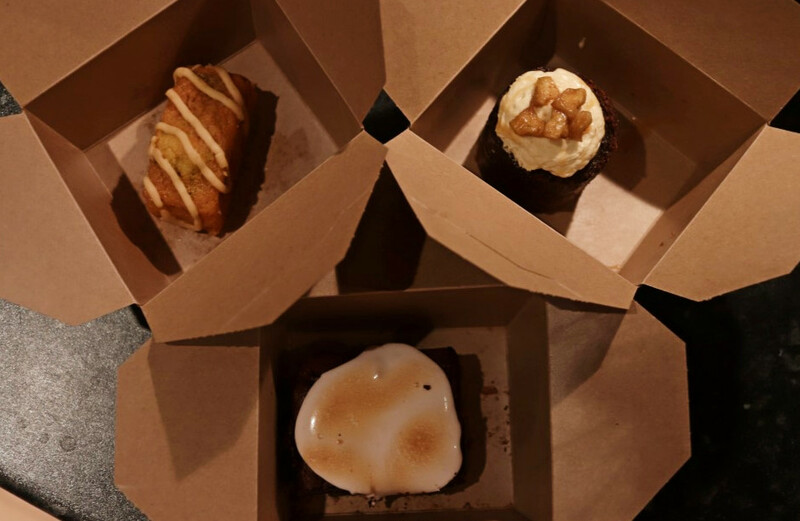 From this week's bakery line-up, we chose our favourites to take home with us; the s'more brownie - unreal. A gooey brownie topped with even gooier marshmallow and lined with a crunchy biscuit, so bloody good - lemon, oil & rosemary loaf and the Leeds Beer Week special, gingerbread cake topped with spiced apples and a beer caramel. Of course, with all the tasty eats, I couldn't forget the hosts, North Brewing Co. You can wash down your hipster food with great beer - all their usual line-up (Pinata being an all round easy drinker), along with guest taps and limited run pours. An ever changing line-up to keep up with the indie eats outside. This year's eats run until the 15th September, so you've got plenty more opportunity to get yourself down for a Saturday feed. 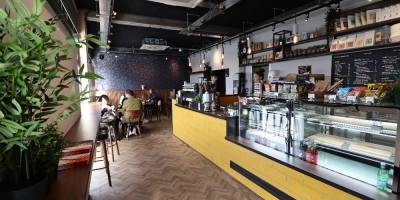 This is a must for Leeds locals, but if you're based a little further West, don't forget about Chow Down that's taken up residency at the Piece Hall in Halifax. I'm yet to try it, but it's another Leeds Indie Food hit from what I hear - the next one is at the end of the month, you can find more information on their Twitter. This weekend's deliciousness was complimentary, courtesy of I Like Press.